I am loving the baby elephant trend in stamp sets at the moment. Baby elephants are so adorable. 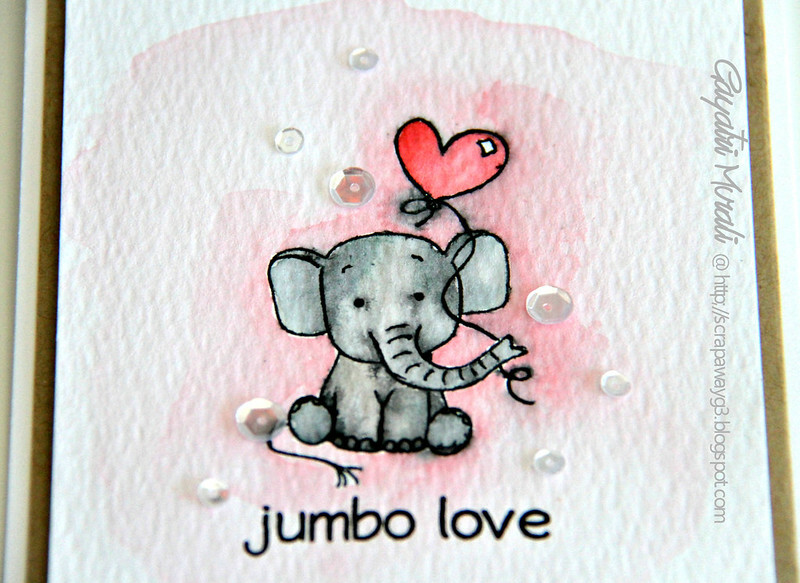 I have this super cute stamp set from Penny Black called Jumbo Love. It has three super cute baby elephants in it. I have used one of the images from the set to make my card. I tried my hand in watercolouring without the outline. This is also a trend at the moment. It is super hard I tell you. But failed big time. I don’t have a lot of patience and with a number of disturbances, it just did not work. So I watercoloured the image by stamping it using Black Soot distress inks and just water brush to dilute the black into grey on the elephant. I like this better because of the defined edge. For the balloon I coloured with Worn Lipstick distress inks. Then once everything was dry, I colour washed the background with Spun Sugar distress ink. I also let the black bleed a bit outside because it gives a little shading and depth. Pretty happy with how this cutie turned out. Here is a closeup where you will see how the black soot outline is used to both colour the image as well as to add depth by shading on the outside. Of course, all my cards have to be finished with Pretty Pink Posh’s sequins. Here I have used Sparkly Clear 4mm and 6 mm sequins. Here is the Penny Black Jumbo Love stamp set. See you soon with another watercolour card! 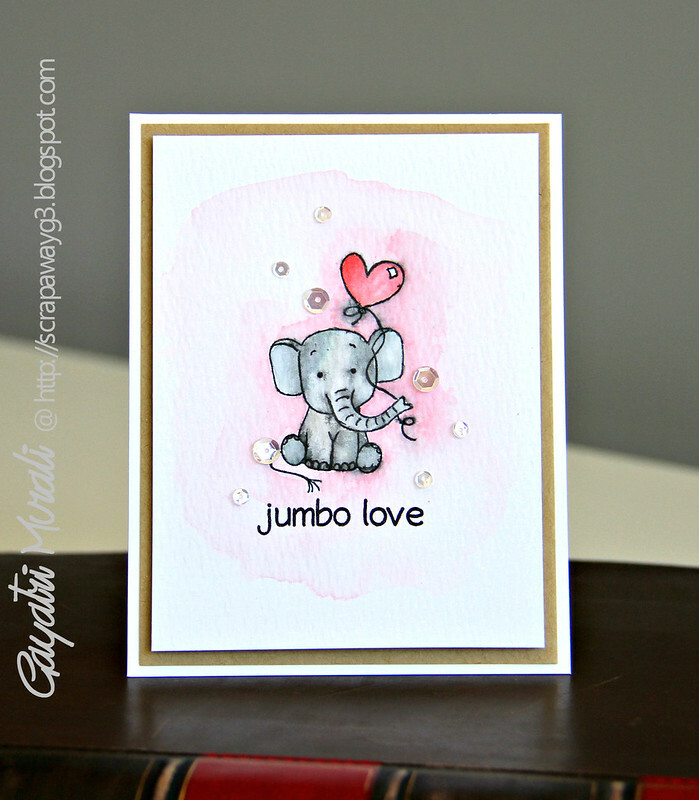 Super cute card …loved the lil jumbo..!! This is so cute! The elephant is adorable! Love the watercoloring! I don't know…I think this is adorable. No line watercolor usually doesn't work for me either. Of course, I haven't practiced much. This is a great way to water color. Thanks for sharing the technique! The card is so adorable!